Categories: File & Disk Management, Office & Business, Utilities. Tag: Epubor. 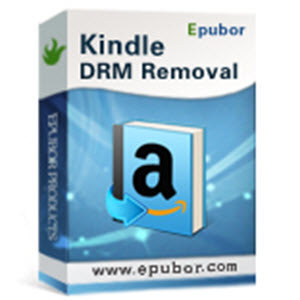 Epubor Kindle DRM Removal helps you remove DRM from Kindle for PC/Mac (AZW,PRC,Mobi) with no quality losing, 1-click to decrypt a whole folder. 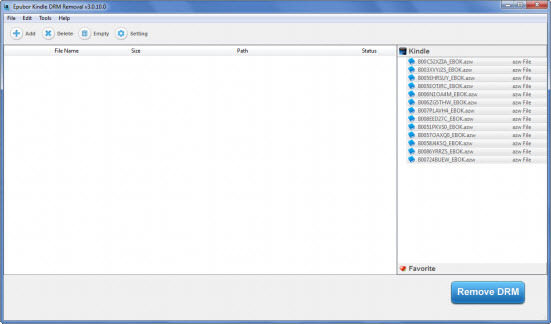 Remove Amazon Kindle DRM from AZW, Mobi, PRC, AZW3, AZW4, Topaz, TPZ. Perfectly remove DRM from Kindle books which are synced via Kindle for PC/Mac, or copied from E-Ink Kindle devices. Support Kindle books in these formats: AZW, AZW3, PRC, Mobi, KFX, AZW4, TPZ, Topaz. 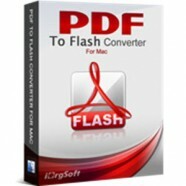 This software scans the Kindle contents folder if Kindle for PC/Mac is installed, then you can one-click to import all the synced books and remove the DRM automatically. For the books copied from E-Ink Kindle devices, this software would ask you to input serial number for successful decryption. If you have an E-Ink Kindle device, things will become more easier. Just connect Kindle to computer with USB, you will see the Kindle show up in the software, then directly drag the books from right side column into the main window, Kindle DRM Removal will process them automatically. The decrypted books will saved in computer’s drive, no harm to your Kindle nor your books saved in Kindle. Kindle DRM Removal helps you keep all the original contents and effect, it only removes the file’s DRM header data. Some Kindle books might change the extension name after being decrypted, like from .azw to .azw3/.mobi. That’s normal, the contents and layout will not be changed.